For starters, visit the famous Chicago Union Station, located in the heart of downtown. Have your engagement photographer arrange a portrait of you and your fiancée along either one of the station’s grand staircases. You can also pose beside the countless beautiful arches and towering columns spaced along the exterior and interior of the station. Once inside, you’ll be amazed by the elevated arched ceiling and the ornate sculptures scattered throughout station’s upper level. There are also several balconies overlooking the entire station that will work perfectly for a private portrait of you and your fiancée. As you prepare to embark on a new and exciting journey with your loved one, choose this beautiful and symbolic landmark for your engagement photo session. Your next stop in downtown Chicago will be the Adler Planetarium, located only two miles from Union Station. The first planetarium built in the Western Hemisphere, this magnificent domed structure and its surrounding area is a great spot for your engagement photo shoot. You and your fiancée can climb up on one of the giant blocks at the entrance or pose on the planetarium’s front steps, with the building as a backdrop. The finely landscaped lawns that surround the planetarium are also great for some relaxed, candid photos. 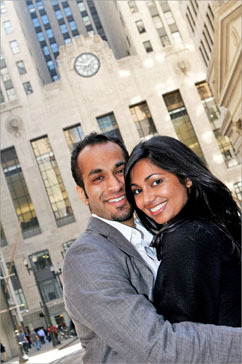 Finally, make your way to the exterior steps near the waterfront, where your engagement photographer can capture photos of you and your fiancée with the sparkling Lake Michigan waters and the Chicago skyline as a backdrop. One of Chicago’s largest and most popular parks, Lincoln Park spans almost 2 square miles along the Lake Michigan waterfront and is a great location to have your engagement photography session. During the spring and summer, this Chicago treasure is filled with lush green lawns and large shade trees, which provide a perfect outdoor setting for your photo shoot. The famous Lincoln Park Conservatory is open all year round and offers plenty of vibrant floral exhibits for your viewing pleasure. Housed within the conservatory are four different halls: the Palm House, the Fernery, the Tropical House, and the Show House – the latter of which displays seasonal flower exhibits. The adventurous couple might want to visit the Lincoln Park Zoo, where you and your fiancée can pose with lions, tigers, and bears to spice up your engagement photos! The zoo also contains beautiful glimmering fountains that you and your fiancée can take advantage of to add a splash of fun to your photo shoot. You can even add a playful touch by taking a ride on the zoo’s carousel! For a more tranquil, natural setting, head over to North Pond, located near the conservatory just north of Fullerton Avenue. And if you and your fiancée aren’t afraid of the water, Lincoln Park’s Diversey Harbor and Belmont Harbor offer fun boat rides that are a guaranteed great time. 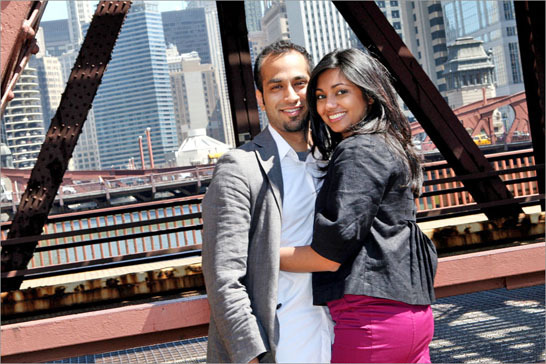 You’ll have a blast during your engagement photo shoot at Chicago’s Lincoln Park! Known as one of Chicago’s premier tourist attractions, the Navy Pier offers countless exciting features that will make for an unforgettable engagement photography session! A popular highlight is the Navy Pier Park, a fun-filled amusement park that is perfect for the child in you. Take your engagement photographer with you and your fiancée as you ride on the park’s 150-foot-tall Ferris Wheel, from which you can see both Lake Michigan and downtown Chicago. The Navy Pier Headhouse is also an amazing place to take engagement photos. Located near the edge of the pier, this stunning domed structure contains an arched interior that will provide a great photo op for you and your fiancée. Navy Pier also offers various kinds of boat rides, one of which will even take you on an architectural tour of the Chicago skyline. If you plan on staying later into the day, sign up for a fantastic fireworks cruise! Come night time, you’ll be floating around Lake Michigan as fireworks light up the sky and illuminate the gorgeous Chicago cityscape. 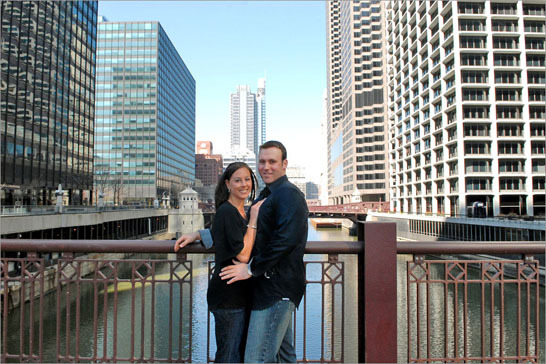 Don’t miss out on the chance to explore this favorite lakeside attraction during engagement photography session in Chicago, Illinois!